Lock in a great price for Aquapalace Hotel Prague - rated 8.7 by recent guests. The best accommodation. People at the reception are very nice. Service is superb! Rooms are clean and cozy. Delicious food! Will come back again. Localisation - very close to my office; but if you want to take a walk around the area try to find something in Prague. 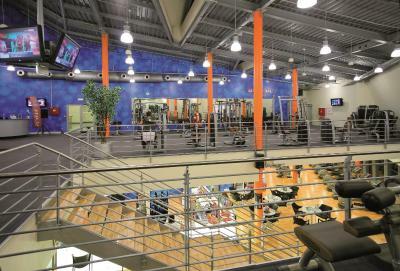 The facilities are amazing with the swimming pool and sauna world. The a la carte restaurant was really nice and the food was lovely - a nice surprise, while the breakfast buffet is nice. 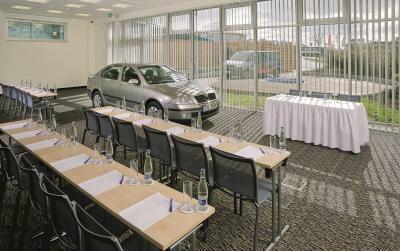 The rooms are modern and comfortable - corporate business style. The free hourly shuttle bus to the metro is very handy. Rooms are quite expensive for its location out of Prague - which is beautiful - and well away from the airport but then you get so much more with the pool access (Sauna world is extra but well worth it). Restaurant: Breakfast was very good, fresh. For dinner we chose the a la carte and the food was exquisite, the waiters very kind and service quick. Spa: very nice. They have Finnish saunas. We recommend the massage center as well, very professional services and nice staff. Hotel: very clean and nice rooms. We had a problem with the heating and it was fixed quickly. Very receptive and helpful reception personnel. They also helped us with the check out as we left a day earlier and got us some sandwiches and snacks for breakfast. It’s great for children. There is a babysitting service which is nice! Everything is clean. Food selection is okay. The hotel is connected to the water park which is very convenient. There are a few food options inside the palace. Great option for a rainy day in Prague. Breakfast was included and was okay, you can find something to eat. Outside of the palace near the entrance is a fun little indoor playground for the kids! If you forget suits or floaties, there are stores there to purchase this! Perfect hotel, nice staff. The breakfast was delicious. We used the slides every day. It was big experience for the kids. There are many shops around the hotel and the public transportation is well organised to the city. There is shuttle for the hotel guest to the metro station (free of charge). Very handy to get to the aqua world from hotel, lots of attractions for kids. A la carte restaurant had a nice menu and quality of food was also decent. Liked the aqua bus as well, makes your travel to the city centre hassle free. The Aquapalace Hotel Prague is a non-smoking hotel set on the grounds of the Aquapalace Praha, the largest covered water park in Central Europe, and offers free and unlimited access to the water park for most units (only "Superior Double or Twin Room without Water Park Access" does not have the access included). Guests can enter the water park as many times per day as they wish through the connecting corridor between the hotel and the water park. 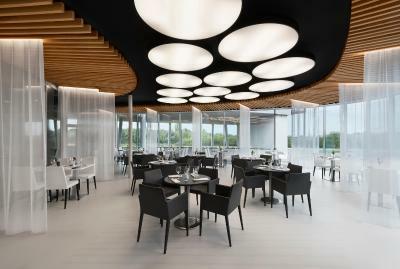 The newly opened restaurant Terresa offers a great gastronomic experience especially for quiet gatherings with friends or business partners and can be booked for private parties as well. 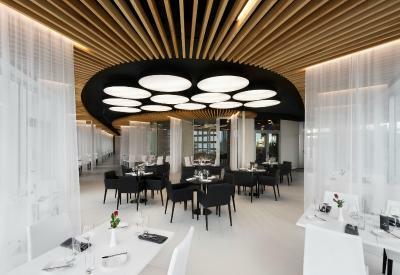 Guests can further enjoy a wide selection of Czech and international specialities at the other hotel restaurant Astra. Bar Barracuda is an inviting place to relax while sipping your favourite drink. 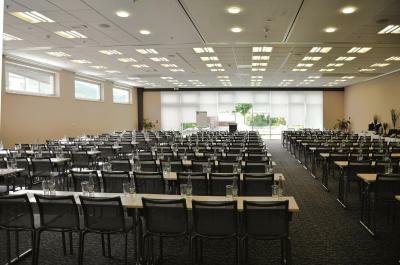 Thanks to a modern conference centre with space for up to 650 people, the Aquapalace Hotel offers a perfect combination of business facilities and wellness. Entry to the Sauna world Aquapalace Praha can be purchased directly at the hotel reception. This property also has one of the best-rated locations in Čestlice! Guests are happier about it compared to other properties in the area. This property is also rated for the best value in Čestlice! Guests are getting more for their money when compared to other properties in this city. Aquapalace Hotel Prague has been welcoming Booking.com guests since 4 Aug 2009. When would you like to stay at Aquapalace Hotel Prague? The spacious superior rooms are fitted with a king-size bed or twin beds. 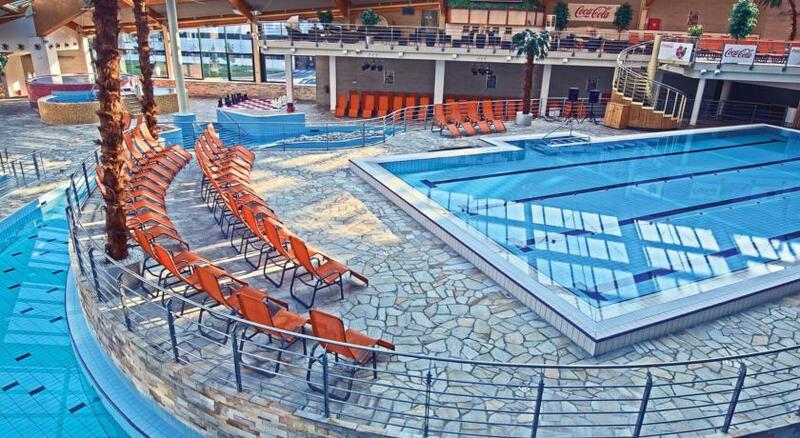 The free unlimited entry into the Water world of the Aquapalace Praha and the Fitness Centre is included. Please note that 1 extra bed is available in this room type (see extra bed policies). The spacious family rooms offer enough space for families with 1 or 2 children up to 14 years. Rooms feature a king-size bed and a bunk bed. The free unlimited entry into the Water world of the Aquapalace Praha and the Fitness Centre is included. Please note that baby cots and extra beds are not available in this room type. The King suite features a separate living and sleeping rooms. 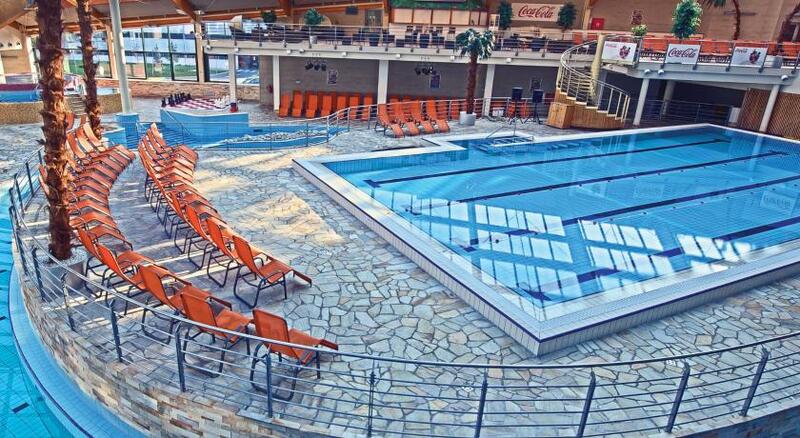 The free unlimited entry into the Water World of Aquapalace Praha and the Fitness Centre is included. This suite offers enough space for families with 1 or 2 children up to 14 years. The spacious superior rooms are fitted with a king-size bed or twin beds. Please note that this special rate does not include the access to the Aquapalace. House rules Aquapalace Hotel Prague takes special requests - add in the next step! All children from 6 to 12 years are charged EUR 13 per person per night for extra beds. Aquapalace Hotel Prague accepts these cards and reserves the right to temporarily hold an amount prior to arrival. Please note that a deposit is requested at check-in. The amount varies per reservation and covers the electronic keys for the aqua park, minibar charges, and any possible damages. Due to a partial renovation in the Palace of Adventure, water slides Kamikadze, Family and Space Bowl are temporarily closed (approx. untill 20th May 2019). Please note that the aqua park is closed on 24 December 2019. On 24 December and on 31 December 2019, a special dinner with a program can be bought. Sauna was really nice and SPA massages were amazing ! Shuttle + metro easy and cheap to get to downtown Prague. Nothing I explicitly didn’t like. I had read some bad reviews about rude staff, but everyone was very nice to us! I think if you make and effort to smile and wish them a good day, you will get back plenty of good vibes. We parked in the attached garage for an extra fee, but it was worth it to know our car was safe and we didn't have to walk far. It was so wonderful to relax all day in the sauna and pools and then just have a short walk to our room! This hotel was very affordable if you compare it to a place like Tropical Island in Germany. They didn't try to cheat us out of any money and it was a very strait forward wristband/chip system. I have no idea why there are any bad reviews for this hotel! The food was good and there was a large variety. Breakfast was also delicious and plentiful. Our room was a large size and the beds were comfortable. Each side of the bed had a table, electrical outlet and a lamp. The TV worked good, but we didn't have time to watch it since we got 2 days at the pools with our stay! I think this is a great deal! Some people complained that you have to pay extra for entrance to the sauna, but that is standard practice at all places like this in Europe. The sauna was incredible. I really like how they do the infusions with a ball of ice. I attended a honey peeling infusion and a really hot one that had 3 oil scents. It was just perfect. We were lucky to go during the week in mid December, so it wasn't crowded. They are currently working on a couple of small slides and the funnel slide. This was not a big deal to us, and we still had plenty of things to keep us busy. The light shows were really amazing. Our hotel room was clean and had a nice bathroom with heated floors. I wish I could stay a week here! Small technical issues with the heating that were solved quickly after we made the complaint at the reception. Personnel at the bars within the spa need to improve their English language skills. Encountered some really rude staff, this is my first time in Czech Republic but have been living in Europe for 7 years. I didn’t understand this! Part of the water park was closed during our stay and it was a huge bummer. Nothing was offered except free entrance into the sauna land, which.. with two kids we didn’t have time to enjoy. The prices of the restaurant are a little bit high, so we choos to have lunch and dinner not in it. Part of the hotel team unpleasent. The part in Aquapark where there was no grass and mud only, not enough lounge chairs and overcrowded ++++ also the food court area was very crowded, slow service and especially there was 1 lonely person making fresh pizza (nice touch) but with a line up accross the entire room very inefficient. I would not need to visit the park again. Kids loved it though, they didn't care about the inefficiencies.